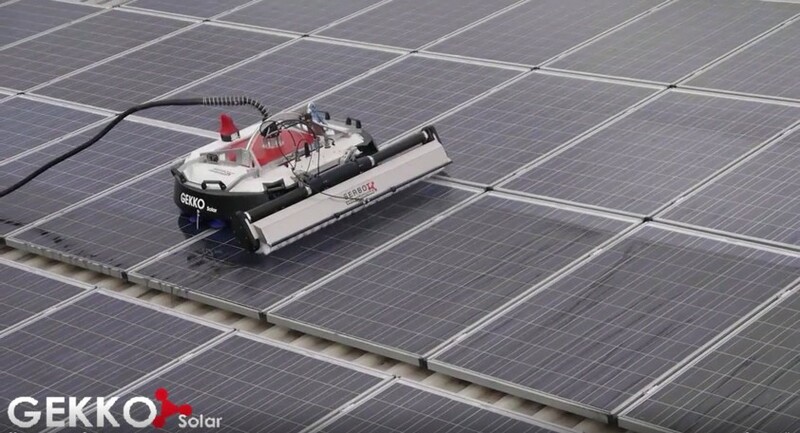 The robot GEKKO Solar is designed to clean PV panels on roof tops and solar farms, which are difficult to access. It's compact and versatile and can easily be moved from one place to the other. Therefore it's best suited for cleaning companies, offering their service to PV plant owners. The robot-efficiency reaches up to 400 m2 per hour. It's a good choice for extended roof top installations, where cleaning by hand is hardly feasible. The GEKKO Solar cleans rigorously by rotating brushes, executing a constant pressure on the panels and the use of demineralised water. 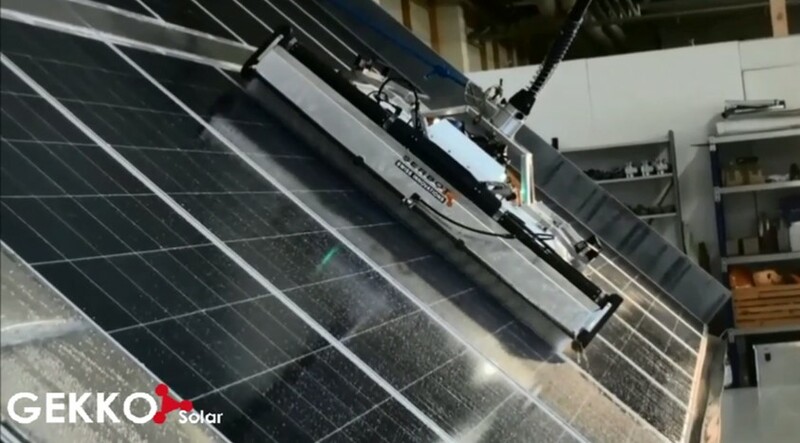 The GEKKO Solar is typically used together with a mobile work platform: from here, the operator can lift the robot comfortably to the roof and control it by radio using a joystick. There is a little trolley for water an energy supply with a hose of about 100 m in length. GEKKO Solar is also suited for small solar farms with narrow panels. In this case, a support wagon supplying water, electrical power and pressurised air ensures an independent operation.